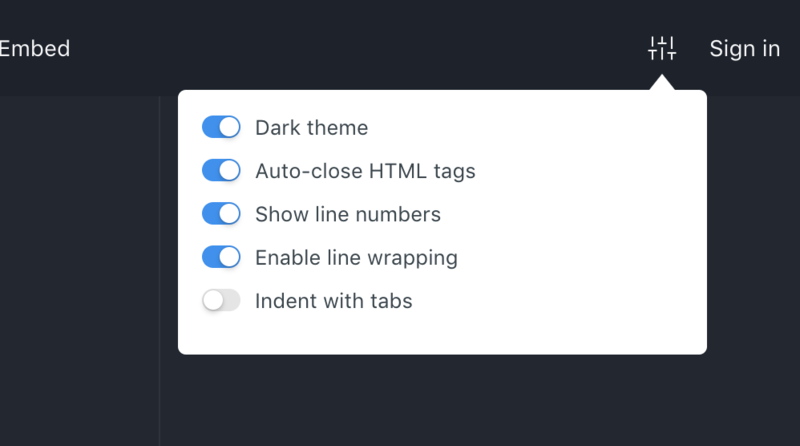 A small improvement to user experience – active lines are now highlighted. JSFiddle now has alternative layout grids, there's something for everyone! Enjoy! Linting for SCSS and CoffeeScript will follow soon. In addition to adding external resources by URL, you can now start typing a library name and an auto-complete will suggest libraries directly from the great CDNJS. Migrated our SCSS parser from pyScss, which hasn't been updated in years, therefore causing all sort of issues, to pythin-libsass. That said, we've removed all webfonts from JSFiddle, and now using only natively available fonts and SVG icons for our pictographic needs! 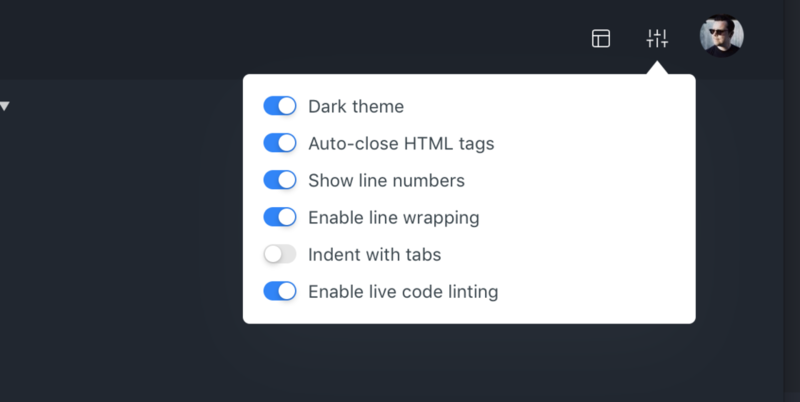 The most requested change on our roadmap has been a dark theme, which today is reality. Just a small bump in CoffeeScript parser, updated to version 1.12.3 - tons has changed and been fixed since 1.10.0. More on coffeescript.org. 🎨 Overriding colors works again. 🐞 There was a problem when the Results tab would not have the correct height if embedded as the first tab in order. This is now working as expected. Additionally bumped CodeMirror version from 5.9.0 to 5.19.0 – they sure update it a lot! Surely JSFiddle will start publishing changelogs very soon.